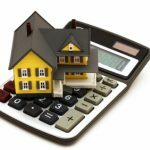 While cleaning out some old bookmarks, I ran across a link to one of Ron Lieber’s articles on home buying from back in 2009. In it, he discusses seven rules for first-time homebuyers. And even though the article is a few years old, it’s still relevant. For starters, put 20% down on your house. That way you’re less likely to end up upside down in a turbulent market — and you can also avoid private mortgage insurance. And don’t let mortgage (plus taxes and insurance) exceed 35% of your pretax income. To be honest, we broke the first one with our first home, opting for an 80/10/10 arrangement. Thus, we avoided PMI, but we only put 10% down. That being said, our housing expenses have never been anywhere near 35% of our pretax income. I think the highest we’ve ever had was a little over 25%. If you’re going to stretch to buy a home, you should (generally) do it with your first home, as that’s when your income is growing the fastest. People moving to a second or third home are usually more well-established and thus less likely to have as much potential for increased income. Honestly, I’m not really a fan of this point. Yes, if you’re going to stretch to afford a house, then doing so when your income is growing is probably the best time to do it. But I would recommend living cheap until you can afford something nicer vs. going for it early on. To the extent possible, imagine what your life will be like going forward. Beyond thinking about extra bedrooms, this means thinking about whether or not you’d be able to handle the mortgage if you or your spouse decides to stay home with the kids you may one day have. And even if you’re not planning on having kids, this is something to consider as there’s always the possibility of sustained unemployment, changes in your career track, etc. It’s important to maintain flexibility. Be realistic about the costs associated with maintaining the home you’re about to buy. Yes, the size of your mortgage is an important consideration, but maintenance costs aren’t inconsequential. Depending on the age of your home and how much of the work you do yourself, annual maintenance costs could average as much as 3-5% of your home’s purchase price. To be honest, I’ve never kept close track of this, though I will say that such expenses often occur in bunches, and big ticket items hit all at once as opposed to being a nice, smooth average value over time. This is an interesting point: if you can afford it, buy your dream house. If not, buy an inexpensive starter home. Don’t split the difference by buying “the next best thing” because it’s short of what you really want and it’ll limit your ability to save. In our case, we went for the cheapest home in a desirable neighborhood. We made a nice profit when it came time to sell, and we were then well-positioned to buy our current home (which we have since paid off). It’s also worth keeping in mind that you don’t necessarily have to leave your starter home, even if you outgrow it. Rather, it may wind up being cheaper to buy at the lower end and then renovate as your needs change. We actually did this with our current house, though we didn’t exactly buy at the low end of the market. Rather, we bought the house that was (for the money) the closest to being an ideal fit in an ideal location. Then, after a couple of years, we built an addition to make it our proverbial dream home. And finally… Will pulling the trigger on your purchase keep you up at night? To me, this is probably the most critical test of all. If you won’t be able to sleep well at night due to money worries, what good is an extra-fancy house? Seems to me, that even if you were to go back to the 90’s and even the 80’s, and look at most home buying articles back then, you’d likely find the same or very similar advice. I don’t feel the basics have changed all that much. Great tips– one really unexpected item is the overall annual upkeep of a house. Generally it can be 1% to 2% of overall home value. You also need to really consider how much money you will want for fixing up the house because your own delayed gratification dramatically decreases once you get into the house in terms of making it the perfect domicile! I’ve always found that homes are a lot like relationships– the longer you live with the house, the more you spot the cracks in the walls, ceilings, and overall imperfections. You need to grow to love your home or you will end up trying to give it plastic surgery every five years which will surely break your bank! Right now my husband and I pay market rent to my parents in a one bedroom apartment while we are saving up to build our own house. I don’t believe in mortgages for my primary residence because I would like to own that without bank interference. I did not budget in enough money for home repairs these past two years and it will take me two more to get out of the hole the new roof and the new furnace helped create. Don’t underestimate maintenance and home repairs as a budget killer. I am not joking here. Property taxes, depending on your locale, can be very very high. Some places as high as 4-5% of the residential market value, payable in property taxes, per year, every year…think about it. Also, if you are accustomed to utility costs in an apartment (where you are sharing walls/costs with neighbors), expect a hefty increase in monthly utility bills. Ask the previous owners for copies (estimates) of monthly gas/electric/water costs, so you aren’t in for a shock. Lastly, you move into a new house, that has no window blinds, wrong color walls, or nowhere near enough funiture/stuff to fill the house — prepare to be broke as you strive to keep up with the Jones’s (your new neighbors). Don’t forget lawn maintenance (cost + time), HOA fees, fixing appliances, AC / Heat systems will break, property taxes (another year already! ), etc, etc. Home ownership can be rewarding, but remember: if you have a mortgage then you are just renting from the bank — and the bank doesn’t come running to replace your hot-water heater when it springs a leak (as a land-lord would), that is all on you now. Full Disclosure: I am a homeowner, and I am still renting my place from the bank. Congrats Nickel for owning yours in the free and clear!